Florent Schmitt’s late-career quartet Pour presque tous les temps (“Quartet for Almost All the Time”), performed at the Scarab Chamber Music Series in Detroit (Grosse Pointe), Michigan (October 2018). 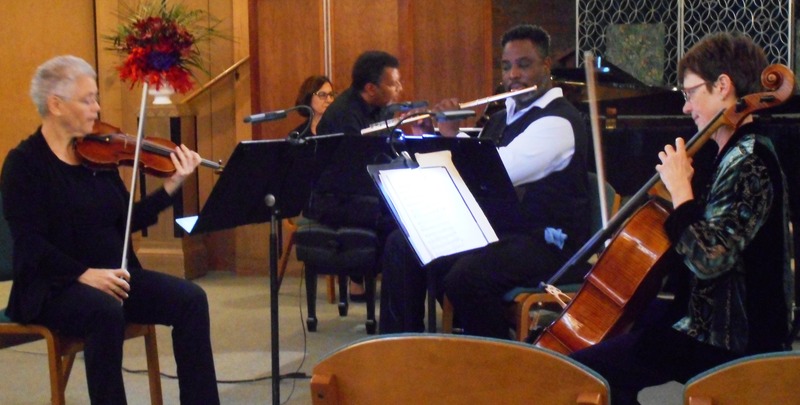 On October 7, 2018, Detroit’s Scarab Club Chamber Music Series launched its 21st season with a performance of Florent Schmitt’s quartet Pour presque tous les temps, Op. 134 (“Quartet for Almost All the Time”), a late-career work for flute, violin, cello and piano created by Schmitt in 1956 when the composer was 86 years old. Despite the advanced age of its creator, there’s nothing at all “old” about the piece. Instead, the four-movement work has a youthful vitality; it’s music that sounds fresh and full-bodied throughout. 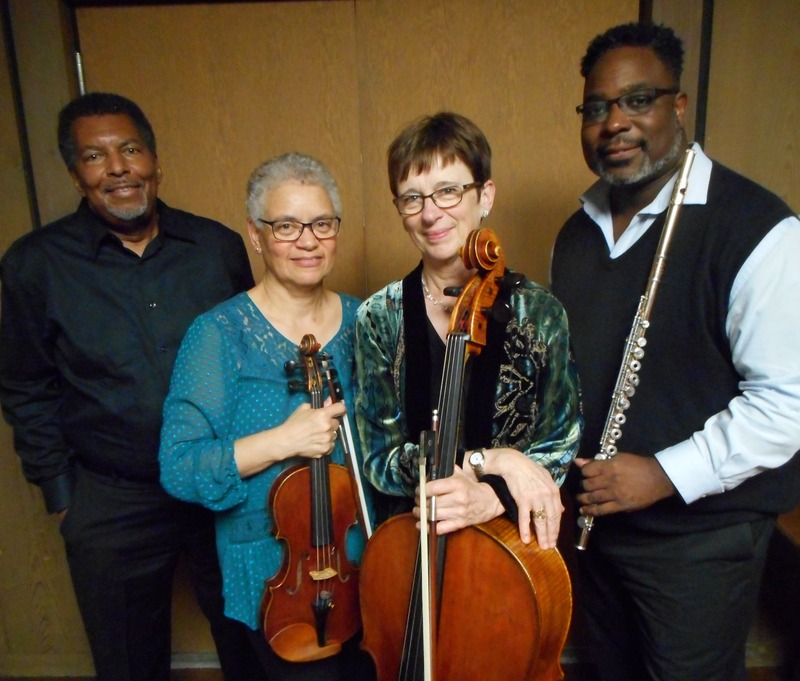 The musicians who presented Florent Schmitt’s Pour presque tous les temps: (l. to r.) John McLaughlin Williams (piano); Velda Kelly (violin); Nadine Deleury (cello); Dennis Carter (flute). As infectiously delightful as Pour presque tous les temps is, I find little evidence that the music has been performed in North America with any frequency. Indeed, with the exception of a performance of just the slow movement presented by the CreArtBox Music Ensemble in New York City last year, I have found no record of the piece being programmed anywhere on the continent in the past 30+ years — all of which made the presentation by the Scarab Club Chamber Music Series that much more welcome. Florent Schmitt’s composition was part of an adventuresome concert of music that also included works by Gabriel Fauré, Egon Kornauth and Michael Gandolfi. It’s the sort of programming that’s par for the course at the Scarab Club Chamber Music Series, which often showcases lesser known-yet-highly worthy repertoire. 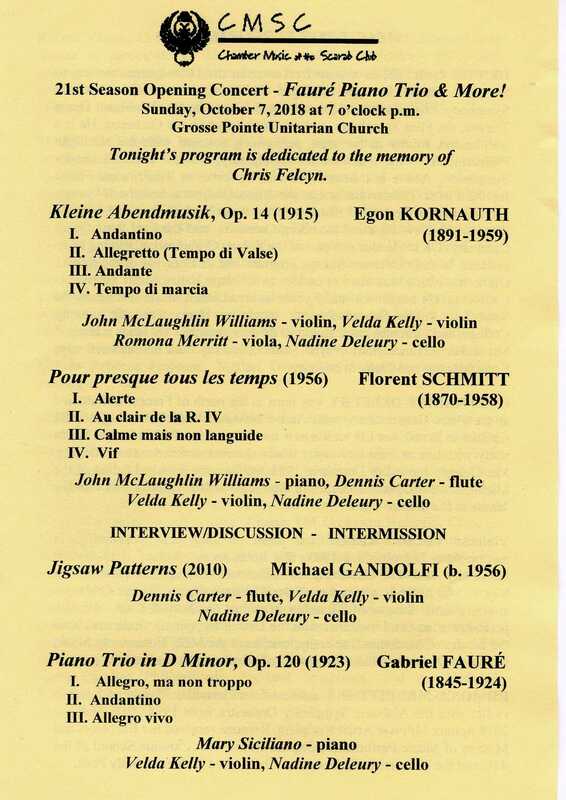 The inventive October 7, 2018 Scarab Club Chamber Music Series concert program. Underscoring this emphasis, future Scarab concerts this season will feature string trios by the Hungarian composer Léo Weiner and the Italian Marco Enrico Bossi, a string quartet by the Russo-Canadian Airat Ichimouratov, plus the Piano Quintet by Amy Marcy Cheney Beach, among other intriguing offerings. 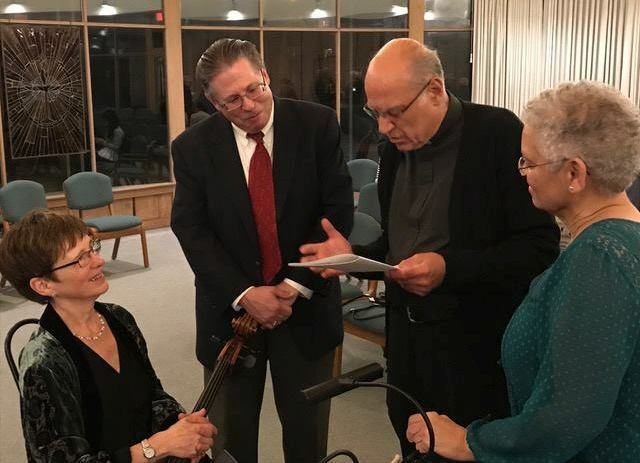 Considering the kind of repertoire it presents, it isn’t surprising that the Scarab Club Chamber Music Series attracts an attentive audience that is curious and open to exploring the byways of classical music. Knowing that I was planning to travel to Detroit to attend the October 7th concert, I was asked by the Scarab’s co-artistic directors Nadine Deleury and Velda Kelly to moderate a Q&A session with the musicians during the intermission immediately following the presentation of Schmitt’s Pour presque tous les temps. PLN: Prior to preparing and performing the quartet Pour presque tous les temps, were you familiar with Florent Schmitt and his music? John McLaughlin Williams: I’d known about Florent Schmitt for a long time — probably more than 25 years. I’ve played the violin part in one of his big pieces — the Sonate libre. I consider it to be one of Schmitt’s greatest works; it’s almost like a symphony for violin and piano. One of my performances from the 1990s has been uploaded to SoundCloud. 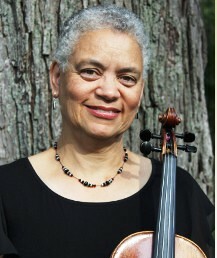 Velda Kelly: I was familiar with the composer — particularly his Piano Quintet. But I hadn’t played anything by him before this. Nadine Deleury: As a French musician, I was familiar with him of course. But I haven’t played any music by Florent Schmitt until now. Dennis Carter: This was my first time discovering and playing Schmitt as well. PLN: As a group, how did you come to choose this particular piece by Schmitt? Nadine Deleury: Well, you had something to do with it, because as you’ll remember we corresponded about this composition for a number of years — how to obtain the score and a recording — before we decided to program it. John McLaughlin Williams: This is a piece I had brought to the group as a possible repertoire item several times over the years. Velda Kelly: As for why we decided to program it at the beginning of this season, it was because we would have extra time to rehearse over the summer rather than trying to fit it in between several concerts closer together. We could start our preparations a little earlier because we knew it was a challenging piece of music. PLN: What were your initial impressions when you looked at the score? Dennis Carter: I was terrified, actually. Just seeing the technical difficulties — the range for the flute, and the leaps and the octaves. But thankfully, things settled in pretty quickly and now everything is cool. I love the piece now. Velda Kelly: I was charmed by what I saw when I looked at the score. I could tell that the music was extremely witty — and something that our audience would really enjoy. Even though the music looked quite challenging and difficult to put together, the end result was lively and uplifting. John McLaughlin Williams: I find much of Florent Schmitt’s music very pointillistic; it’s similar to the pointillistic style of painting. Like those paintings, when you’re standing far away everything has a very familiar shape, but when you’re up close, it’s a series of little dots or points of music which at first don’t seem to have a logical connection. But in actuality, it’s extremely logical. Schmitt has things planned down to the very last 32nd rest. It’s an amazing application of technique, and it’s an inspiration. 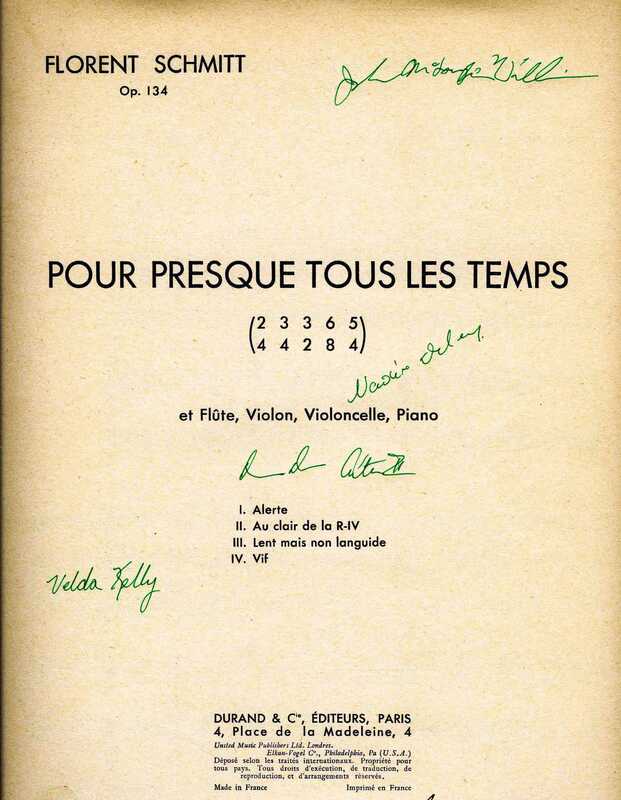 A vintage copy of the score to Florent Schmitt’s 1956 quartet Pour presque tous les temps, inscribed by musicians of the Scarab Club Chamber Music Series. PLN: What was it like to prepare Pour presque tous les temps for performance, and how did you approach rehearsing the music? Nadine Deleury: This is very unusual for us, but we decided to hold some of our rehearsals with two or three of the musicians instead of all four. It’s actually quite rare for a small chamber group to split up like that for rehearsals, but in doing so we heard things in the music that we hadn’t discerned before. It was quite helpful to our preparation. Velda Kelly: I actually think our best rehearsals were when we split into smaller groups. The sectional combinations we held were for the violin and cello; violin, cello and flute; and also violin, flute and piano. Schmitt’s music has so much texture, it was difficult to process everything that was going on when all four of us were playing at once. But after these sectionals, things came together very nicely. 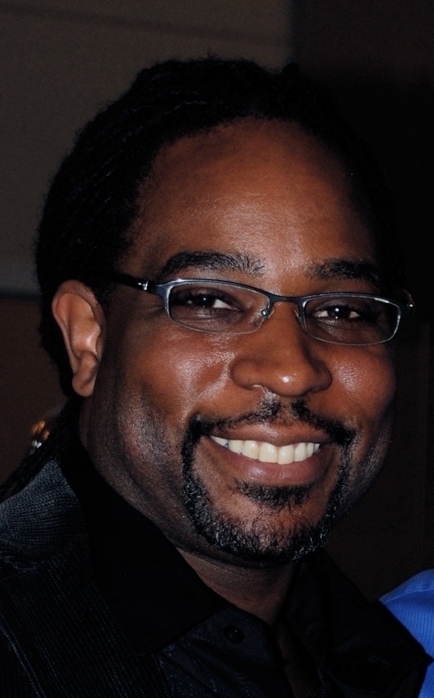 John McLaughlin Williams: The piano part is very rich and robust even on its own. Schmitt really knew how to compose for the keyboard. He was a pianist himself, and there’s an amazing corpus of music he wrote for the keyboard. Nadine Deleury: John, you’re first and foremost a violinist. I’ve been meaning to ask — how come you decided to play the piano part in this piece instead of the violin? 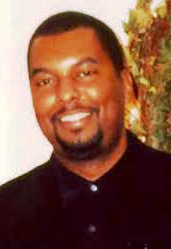 John McLaughlin Williams: That’s an easy question to answer: You asked me! PLN: What you’re saying about these rehearsals mirrors what I hear often about Florent Schmitt’s scores — that they’re challenging even for highly trained musicians. Do you think Schmitt’s music is more complex than it needs to be? John McLaughlin Williams: Absolutely not! It is true that Schmitt had a penchant for complexity, but as he moved along in his career we actually find that he’s able to achieve the same effects with a simpler palette. Schmitt was very specific in the effects he wanted to achieve in his music. When you study his scores, you find that every note and every notation has a specific purpose; nothing is extraneous. Another interesting observation I have when I look at this particular score is this: It would be very easy to orchestrate it. Even though the piece is scored for just four instruments, the way it’s written it’s very clear how one could expand the instrumentation to encompass a full symphony orchestra. PLN: Do you have any comments you’d like to make about particular movements of the piece? Nadine Deleury: In the slow movement, I hear a theme from Bernstein’s West Side Story — but of course, Schmitt’s piece came first! John McLaughlin Williams: I particularly love the second movement. It’s so typical of Schmitt’s music in that it’s surprising in where it leads. It defies expectations. It starts out very dreamy in a classic French way, but then it seems to dissolve into something more dissonant and more dramatic. It’s a sort of an “expressionistic lullaby” — and a very contemporary aspect of Schmitt’s compositional style. PLN: How would you characterize the musical style of Pour presque tous les temps beyond the general idea that it sounds “French”? 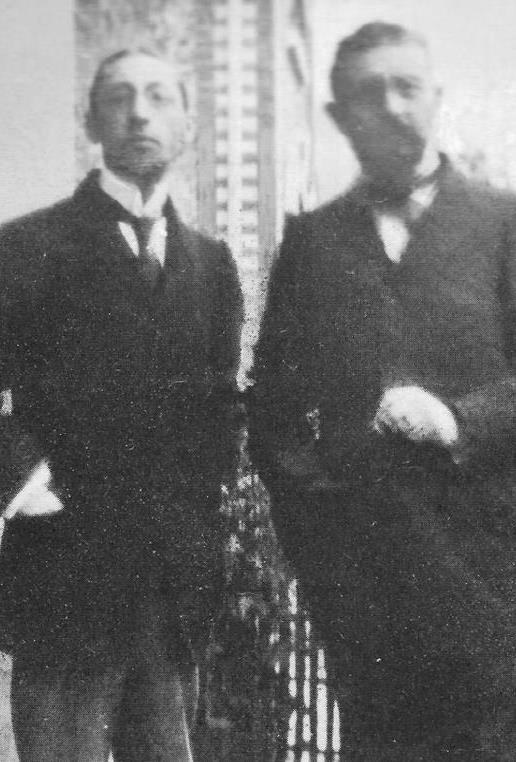 Igor Stravinsky (l.), photographed with Florent Schmitt in about 1910. 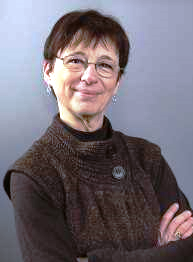 Velda Kelly: I definitely hear Poulenc in the music, and I also hear Stravinsky in spots — especially in the last movement with all of the rhythmic complexity and drive that it has. John McLaughlin Williams: It’s important to mention in that context that Schmitt and Stravinsky were close friends in the early decades of the 20th century — and that Stravinsky counted Schmitt as a great influence during his early years in Paris. So it may be that the two musicians were influencing each other in a reciprocal way. PLN: Are there any additional comments you’d like to make about Florent Schmitt and his music? John McLaughlin Williams: Paralleling how Schmitt was very specific in the effects he wanted to achieve in his music, the composer was also very fastidious in his personal manner and appearance. There’s a famous photograph taken around the time Pour presque tous les temps was composed. 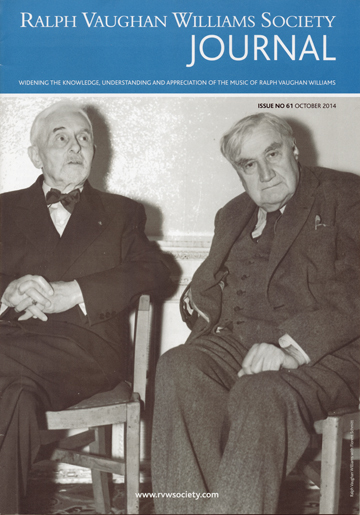 Schmitt is seated with his longtime friend and fellow-composer Ralph Vaughan Williams. Schmitt looks very elegant and well-manicured in his custom-tailored suit even as Vaughan Williams looks all scruffy in his English tweeds. Seeing the stark contrast, it is an apt reflection of Schmitt — the man and the artist. Special thanks to these four musicians for taking the time to share their observations about Florent Schmitt and his music. It was an interesting and informative discussion; there’s no question that the audience was very favorably disposed to the music, heartily applauding both the performance and the subsequent Q&A session about the composer. Considering the very positive reception Pour presque tous les temps received, other chamber music groups across North America would be well-advised to investigate this composition and add it to their repertoire as well. This entry was posted in Chamber Music, Classical Music, Composers, French Composers and tagged Chamber Music, Chamber Music at the Scarab Club, CreArtBox, Dennis Carter, Egon Kornauth, Florent Schmitt, Gabriel Faure, John McLaughlin Williams, Michael Gandolfi, Nadine Deleury, Paul Paray, Pour presque tous les temps, Scarab Chamber Music, Schmitt, Vaughan Williams, Velda Kelly. Bookmark the permalink. « Mathieu Cherkit: A noted young painter draws artistic inspiration from Florent Schmitt’s longtime home in Saint-Cloud.